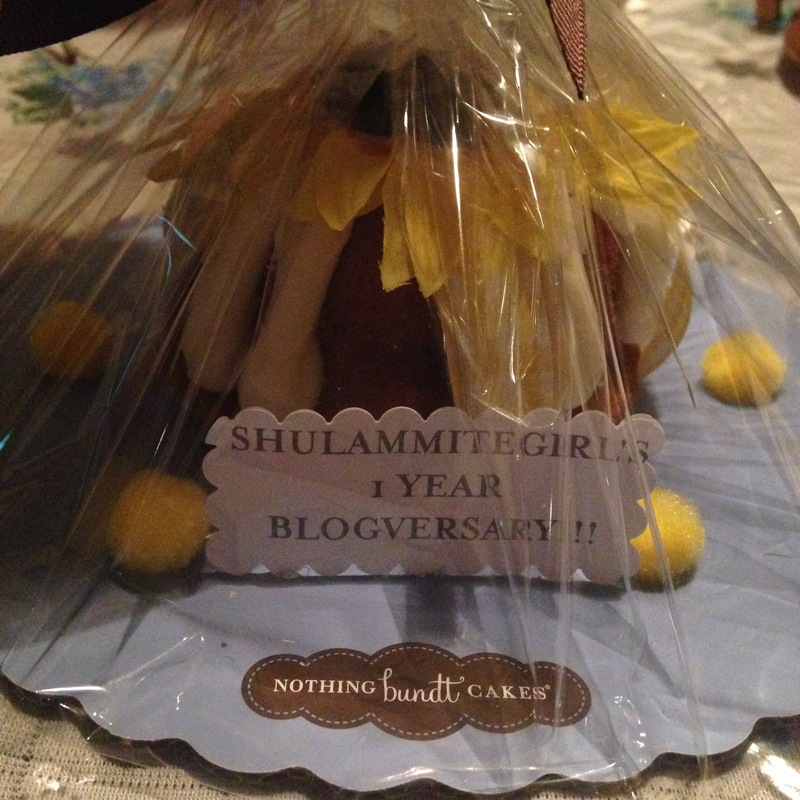 Today marks my one year anniversary with my Shulammitegirl blog. Initially I started this blog just to keep up with my daily life, share recipes and my favorite quotes, and to encourage myself to continue to write and take pictures. I didn’t expect my blog to attract attention or to gain any followers really but to my surprise, I’ve gained over a hundred within this past year. Of course to some bloggers, that’s nothing but it means so much to me since my followers actually interact with me and continue to keep up with my blog. 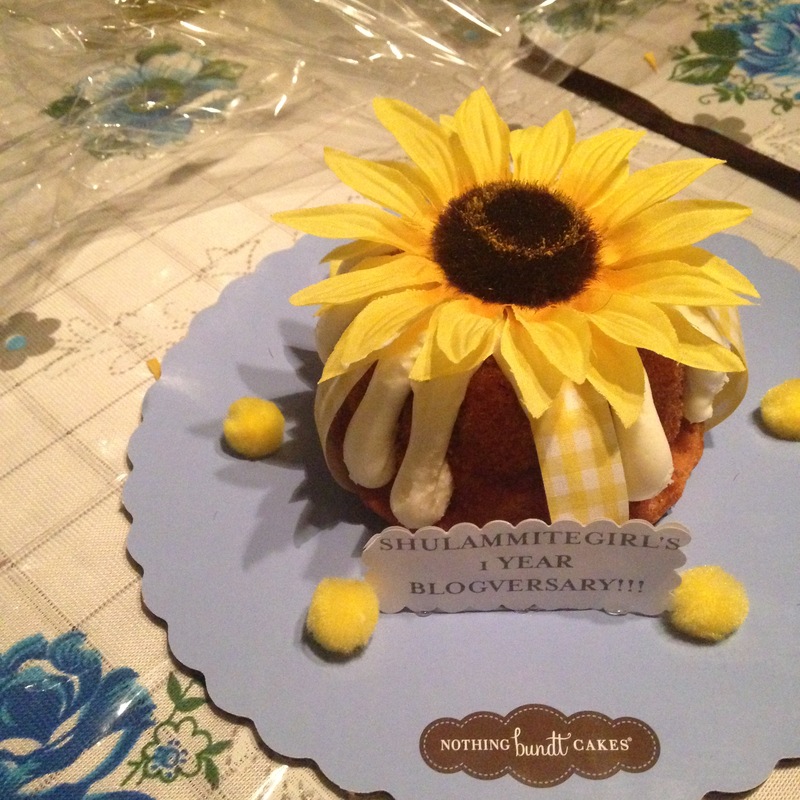 It was a Pecan Praline bundtlet, topped with a sunflower, and a message card that read, “Shulammitegirl’s 1 Year Blogversary! 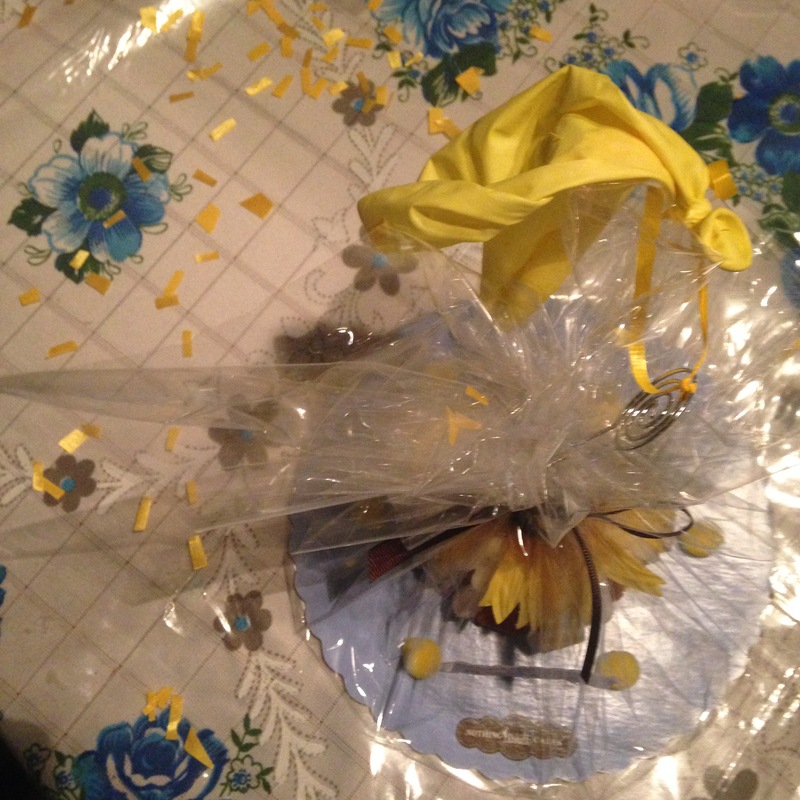 !” It was decorated and wrapped and attached was also a balloon. I was told to pop the balloon and once I did, confetti popped out! As a thank you to reaching over a hundred followers and my one year anniversary, I’d like to do a giveaway. It will be a personalized care package of goodies for one of my followers picked at random. There aren’t much rules to this giveaway, I just ask that if you are interested, you leave a comment below. I have really enjoyed reading your entries. I love the recipes & travel photos (Vacation 2015 especially). Keep up the great work and thanks!!! You’ll have to excuse my late reply but you’ve won my giveaway. Please email me directly with your full name and address so I can ship your care package. 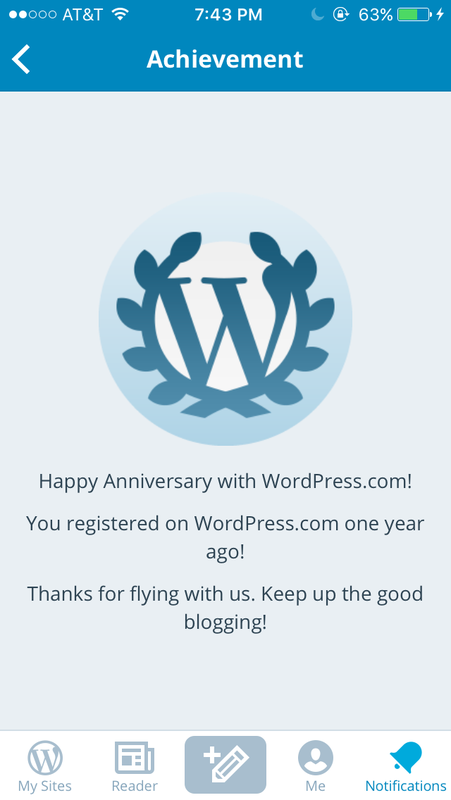 Congratulations on your one year blog anniversary!! I just sent you my contact information via email. I’m so excited that I won!!! 🙂 Sorry it took me so long to respond. I’ve been really busy at work lately!